For Same Day Dental Emergency Appointment. Call us on (03) 9800 2338 today! 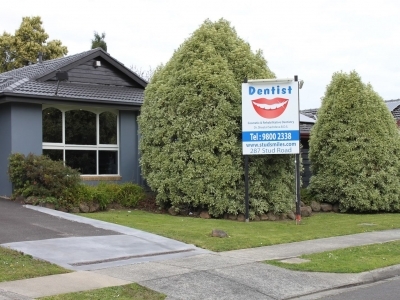 At Dr. Sheetal Sachdeva’s dental surgery in Wantirna South, our priority is to deliver quality oral health care to informed patients in a professional, comfortable and convenient clinic setting. We understand the difference a compassionate staff and relaxing atmosphere can make on your dental experience, and we take the time to get to know all of our patients on a personal level. We want to help you achieve the healthy and attractive smile you’ve always wanted in a way that make you feel comfortable. Our aim is to take people who have fear of the dentist and make going to the Dentist a pleasant experience while making them feel confident to smile again.